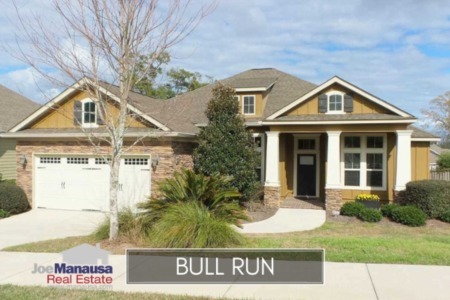 Bull Run in NE Tallahassee is a text book example of a "boom neighborhood." With new home construction that commenced in 2005 and continues through today, it is a neighborhood that offers great choices for today's homebuyers that favor new and newer homes. Regardless of the homes being ten years old or brand new, the sale of Bull Run homes has thrived over the past ten years. But the pace of sales has changed in 2016. While 14 of the 26 homes for sale in Bull Run are already under contract, the number of closed home sales is down significantly when compared to the past few years. With nearly 2 in every 5 homes in our Bull Run Report being new construction, it is obvious that buyers are willing to pay a premium for this prime location and its highly sought after schools. 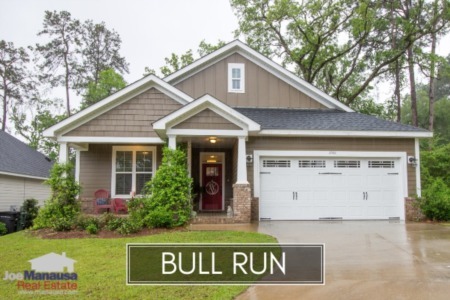 In this report, we will look at prices, values, and sizes of homes in Bull Run, as well as show current listings in the Tallahassee MLS and all closed home sales going back to 2005 (the first recorded sales in Bull Run). It is important to note that the narrative contained below is through the end of the year for all previous years, and through the second week of July in 2016. The graphs and the closed sales table will be continuously updated into the future (meaning bookmark this page if you always want to know the current status of homes in Bull Run). Average home prices have continued to rise for the past four years, buoyed by new home construction sales. 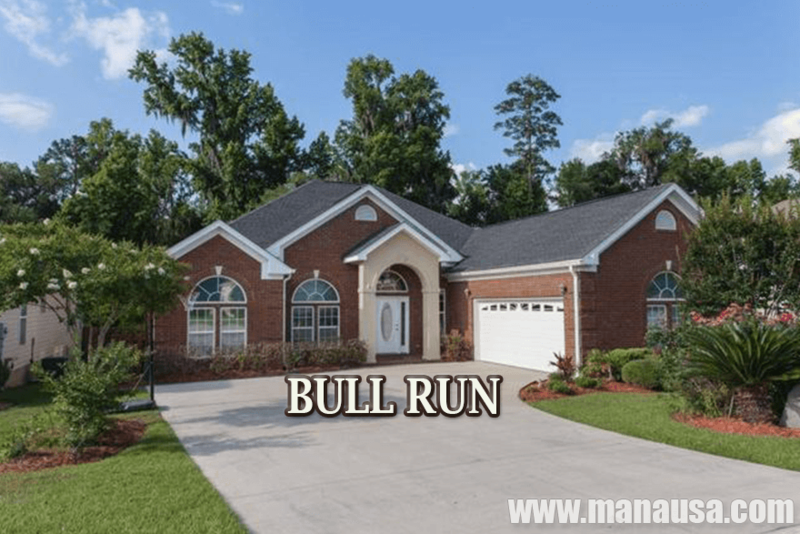 With median home prices stable for all of Tallahassee, it is not surprising that we are finally seeing a slowdown of home sales in Bull Run. With only 22 closed home sales as of the writing of this post, activity in 2016 continues to be much slower than what we saw in Bull Run last year. Bull Run home values have dipped slightly so far in 2016, perhaps leading to the first year of declining home values in more than four years. This relates to the ratio of new homes sold to those that were sold by existing owners. As new construction slows down, the resale values (which are lower) will make it appear as if values are falling. As a boom neighborhood, Bull Run homeowners should monitor for pent-up supply. The average value of a home sold in Bull Run has been $151 per square foot in 2016. This is up 16% above the bottom reached in 2012, and only 6% lower than the market high set back in 2007. I will warn however that with roughly 40% of these sales being new construction, average home values are highly skewed. The "resale only" average is lower. Unfortunately, like everywhere else in town, this means that many homeowners who have purchased or refinanced in the past 10 years should expect lower prices and values, and they likely have little or negative equity in their homes. The 22 sales thus far in 2016 have averaged 2,183 square feet. The following list shows more than 500 home sales in Bull Run going back to 2005, the first year that homes began selling here. I hope you enjoyed our July 2016 update on home sales in Bull Run, please feel free to drop me a note if you have questions not covered in this report. If you did, please like this for our Facebook Page.